Kickstarter’s New Project: ORII – The Voice Powered Smart Ring | Gear, Retail, News, Cars, And More! Have you ever wished things to be simpler without a smart phone in your hand? Well. ORII will capture the market in no time. 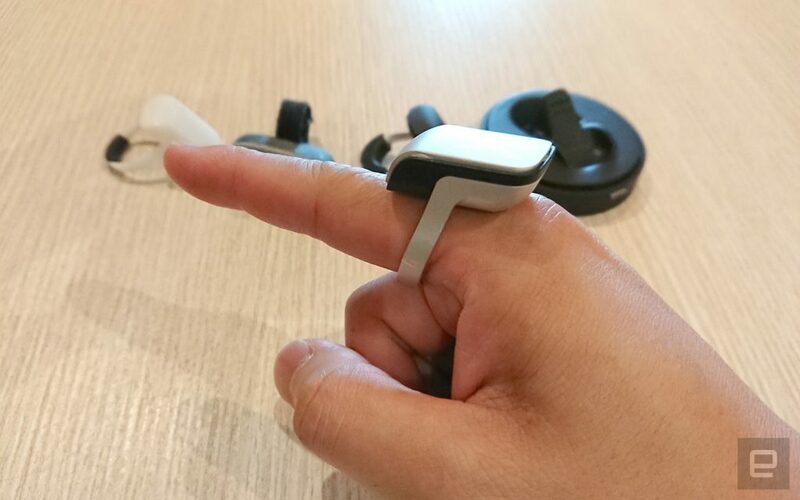 This device is a top-notch invention that will let its users experience multiple things using just their finger. Kickstarter has initiated this project that it hopes to launch very soon. It will surely be a pivotal point in the field of technology. It is designed to provide people with a better and convenient way in handling calls. ORII is a minuscule device that plays an equal role to that of Siri or a Google Assistant. You can answer calls, receive messages and manage almost anything on your phone just with a touch on your ear. All it requires is your finger to come in contact with your ear. If you are thinking how this works, it gets a bit technical. What ORII does is send sound along with your finger into the ear through bone conduction. This device is able to give you a fresh new experience and complete privacy. Only the user can hear all that is passed on to him/her through the finger. This is proven, tested and used even as hearing aids in the medical field. According to those who have tried it, it is simply an amazing experience and the audio is perfectly clear for you to hear. To begin using ORII you have to long-press the sensor button in the device and ORII will instantly coordinate with your phone’s voice assistant. In no time you will be able to find whatever you need at your fingertips. What’s more fascinating is the handy design it comes in. It is small, light-weight and can be easily worn. It is manufactured using anodized aluminum which is scratch resistant and splash-proof. It is durable and water resistant which makes things more comfortable for the user. So, you don’t have to hesitate to eat a snack or wash your hands wearing ORII. Today, your smart phone is crucial for you and tends to use it in almost every place and every time. This is perfect if you want your eyes away phone screen for some time and spend more quality time with your family members or friends. You will be able to hear things absolutely clear even in loud places and have private conversations of your will. This is because it is through physical vibrations audio is transferred and background noises are not able to interfere it. ORII comes in three elegant colors for the users to choose from. The functions performed by ORII is endless. Perhaps, it is the best chance to make full use of your phone’s voice assistant like Siri. ORII will let you make calls, send messages, set schedules and reminders and voice search. It calls also be used for purposes such as translation and navigation. You are even able to customize your notifications and calls. Set different colors for notifications of your favorite apps and contacts. This way you know who is calling you through the color of the LED light. ORII is a revolution in the smart world.Stay tuned for more information on this super gadget because ORII will simplify your life and make smart phones much easier to use.